@LaboGoon and Season’s greetings one and all. Arsenal is travelling to the South Coast this afternoon to take on Brighton & Hove Albion at the AMEX Stadium; a win would lift us into top-four to add a bit of pressure on Chelsea going into their game vs Watford directly following ours. If the Gunners think they had it tough last time we were on the road, a 3-2 defeat at St Mary’s, also down at the south coast, the Seagulls are the definitive “difficult to play against” side at their home, of the teams outside top-six; something we know all too well about being beaten there 2-1 last season. Chris Hughton’s team is usually well-organised and play from a strong defensive base; 26 goals conceded, two more than us, this campaign into their second season in the top flight is impressive. They aren’t without issues though and comes into this fixture following three straight defeats, but despite that it’s hard to imagine them being dragged into the relegation battle, so there’s little Chris would need to change about their style. With 6 out of 24 defeats since last season and 13 of their 20 PL goals this campaign at the Amex… the Seagulls is now a pucker middle-class Premier League outfit. The manner of our win against Burnley was important for Unai Emery and the boys; Özil’s vision for the opener, giving the Clarets as good as we got in the physical challenges and putting the game to bed just as it look like they were putting out all the stops ensured that our players’ confidence and ability weren’t questioned following the back to back defeats. Our most recent league games against Huddersfield, Southampton and Burnley reminded Unai that there’s no easy games, ergo nothing should be taken for granted. With our next fixture an expected high intensity one against Liverpool in three days the make up of the team will be interesting; ie to rotate or not to rotate, or to just go in with a strong XI to give yourself the best chance of winning and build momentum leading up to the trip up north. Ooh to be Emery. Chris Hughton’s main concern though will just be whether his team should venture out and attack, or if they should sit in their own half to absorb pressure and rely on counterattacks. So hard knowing where Premier League managers’ mind are at these modern times. What we do know is that the Seagulls have one or two attackers that can cause defenders numerous problems, are extremely disciplined and far from comfortable to play against in front of their own fans; and for that reason we will need to match their resilience and take our chances. Today certainly is going to be a different test and I suspect a close encounter to be on the cards. maybe some of the youths who Emery so far has been unwilling to risk in the BPL might fancy a new challenge, Maybe Martinez who has got to play one game this season might want some first team football. At least Two goals against the opposition would be nice! Do miss some of those Wengerian goal blitzes, but no point living in the past. Emery will clearly need time , as for his own players, again, it is just him who signs them? Would expect a few youngsters to break through, perhaps a few Bosmans, but how do you replace Ramsey and Ozil unless , as I fear, the style is completely changing. Danny is another huge, and it would seem permanent loss, he may have been very useful today , at Soton and similar games. Isn’t Rabiot supposed to be off to Barca? Is now he winter of our discontent? Days like today do at times show how good players we are missing, or played out of position actually are. The point has been made about Bellerin, can only second that, he adds so much, and is quick getting back. Then, when we lose Xhaka in mf. A lot can rightly be discussed about tactics, substitutions, signings, Ozil, Ramsey, but the injuries to key players are really doing us at this stage of the season where games are coming thick and fast. Of course all teams get injuries, and during wingers time, we are told we cannot use them as an excuse, but I don’t see the spuds, Chelsea, Liverpool, Utd etc with anything like the amount of KEY players we have missing, and some of that lot have much more experienced squads. Yes Eduardo, but without the stats to hand, haven’t we had Sokratis, Mustafi, Kola, Monreal, Holding, Licht, let alone Mavropanos and Kos out at various points during those ten games. Ok the defence has been a little shaky all season, in fact, probably since the Kos Per era, but this lack of defensive stability must be really hurting. Giving away really stupid goals, usually soon after we score, or on the stroke of half time will be damaging, and with a smaller fit squad, energy sapping over time. Cannot think of another team with the same problems at the back we have experienced in terms of injuries, or anything like it, and we are in a time of change making this instability even worse. Not saying the Ozil Ramsey situation should be ignored, it is clearly not helping at all, if it baffles us, I am sure it has the same effect on at least some of the players, almost tempted to add Lacca to those two on the list, though I am sure he isn’t being edged out! but it must be very difficult to string runs of results together with such instability at the back, I am sure it is effecting the whole team, including the keeper. We need a much more settled back line, and quickly. to compound matter emery seems hell bent on taking Xhaka into the backline, I really don’t know why if we are so stuck for a CB that we don’t put Eleney in there, surely him at CB with Xhaka and Torreira in a two in CM, is stronger, but it now seems Guendouzi is his golden boy and must be fitted in. Lacazette for the second game in a row did not even try to hide his frustration and disappointment at being taken off. mandy you mention that with defensive injuries we are also trying out different systems, and that begs the question, with defensive injuries would it not make more sense to stick with the same system, leave as much of the rest of the team as unchanged as possible, not feck about with the midfield make up and positions, and the attack too. if injuries leave you with one weak line surely you don’t weaken the other lines in trying to compensate for the one. Why have two or three disrupted lines of the team just cos one line has been hit. I don’t believe Aaron will leave in January. I could be wrong, but he is in the same situation as Giroud was when he left for Chelsea, with 2 month old babies at home. He’s an involved dad, I don’t see him leaving those babies right now. Better to take that move in the summer, when the twins are almost 9 months old, and it’s easier to move the whole family. I’m not sure money would sway the decision one way or another, but I think family would. I can see some morinho traits in emery. Removing players at halftime just because you are angry at how they play rather than what they can give to the team. A manager should be able to speak directly to any player and tell him what you want from him rather than just hook him after 45min. It’s a coward way of management. How long will it take for it to begin to cause disaffection in the team. I struggle to see what gendouzi does differently from elneny. Always everywhere but nowhere. He must have trusted him because he runs around a lot and seems to put lots of effort. Same thing morinho likes. Why sub laca when we clearly need goals. Ramsey should have come in for gendouzi. I see lots of love for AMN but for me he did nothing. He wasted all the chances to counter, failed severally to pick any of the forwards. We need bellerin back asap. Leno did well for me. H knew lich was in trouble and rightly came out but lich nodded the ball away from him and towards guendouzi who lacks every quality to play the last man when we play corners. If you don’t have an agenda against leno you will see it. Torreira playing further forward might be because emery wanted to protect him against booking. And he didn’t get booked as far as I know. If we don’t do anything about our defense in January, we should kiss the top six goodbye. And why is everyone attributing our injuries to other teams kicking us rather than the usual Wenger coaching techniques. 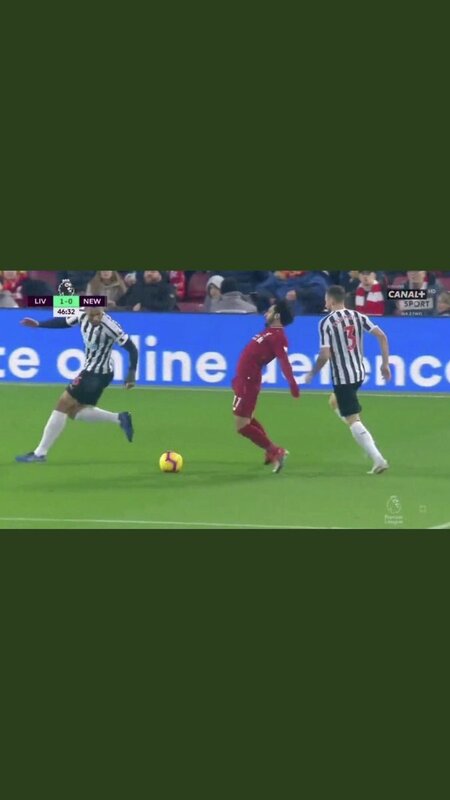 Ha, that Salah photo. He’s surely been practicing. I don’t get the tippy toes thing that seems near essential to most dives now. Doesn’t feel like it mimics natural falls, so it is something that needs to be done to fall unnaturally- i.e. to make yourself fall when gravity isn’t your friend and wants you upright? Seems like prime dive panel material if in fact nobody would or even can fall naturally like that. I hear Murphy glossed over it on match of the day and, incredibly, that bum is on the dive panel I believe. Hope they don’t pay a retainer or anything so he isn’t earning during their months and months of inactivity.